Community Links Plus is a design competition which is run by Sustrans Scotland and supported by the Scottish Government. 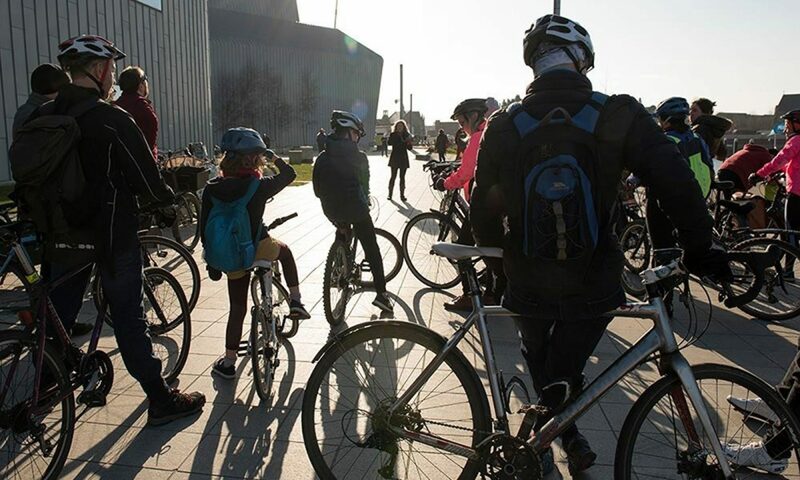 It is for local authorities and other statutory bodies to design and deliver exemplary and inspirational cycling, walking and place-making projects. As you may be aware, in previous years Glasgow City Council was successful in winning funding for its South City Way project and the Connecting Woodside project. As part of the current competition, Glasgow has three submissions that have progressed into the second round of judging: Glasgow Avenues Plus, North City Way and Yorkhill Kelvingrove Cycling Village. After the consultation events, you can follow progress of this project as it develops by visiting the cycling pages on the Council’s website: www.glasgow.gov.uk/cycling. The North City Way (NCW) aims to deliver a coherent, predominantly segregated, walking and cycling route from Milton into Glasgow City Centre, via Ashfield, Cowlairs, Keppochhill and Sighthill. It will utilise a vehicle-free bridge over the M8 and a new bridge over the Glasgow – Edinburgh railway, creating a quiet and safe route to the City Centre for people on bikes and on foot from the north of the city and beyond. Through partnership working with Glasgow City Council and Sustrans, the Community Council have already overseen some enhancements to the area including improved roads, footways and signage, installation of cycle racks and on-street cycle pumps and new Nextbike stations. Following this success, this project aims to improve the look and feel of the area, prioritising the needs of pedestrians and cyclists and creating an attractive ‘gateway’ to the SECC/Hydro.